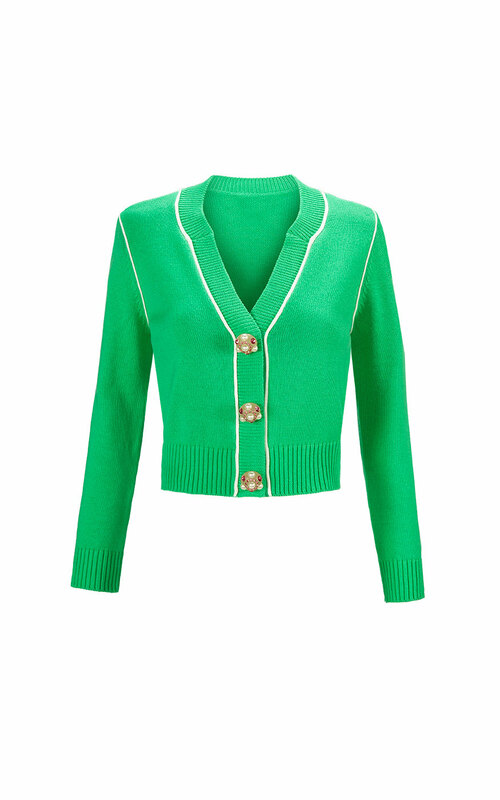 This unique shrunken cardigan has a soft mint julep hue and vintage, statement-making flare. This showstopper features a cropped fit that flatters the figure with white piping at the seams, grosgrain ribbons, and incredible, decorative buttons. Wash by hand separately, inside out, with cold water. Only non-chlorine bleach if needed. Do not twist or wring. Lay flat to dry. Warm iron if needed. Do not dry clean. 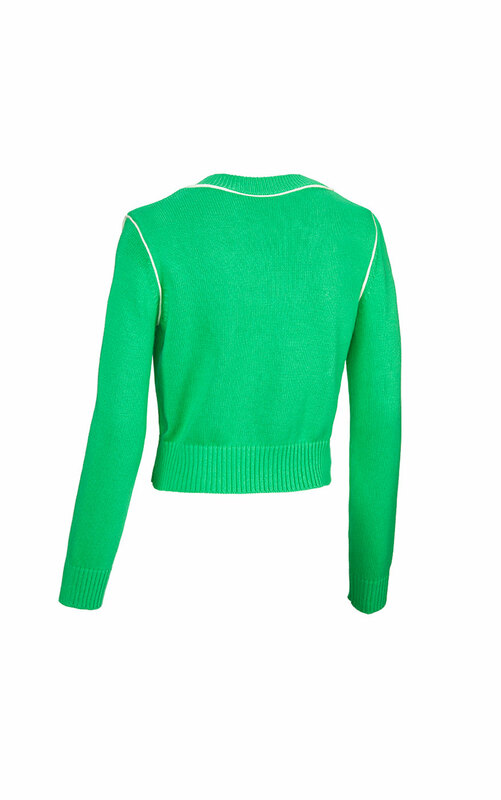 Loving the Wallis Cardigan? Share how you’re wearing it on Instagram, and browse through all the inspired ensembles for fresh ideas.